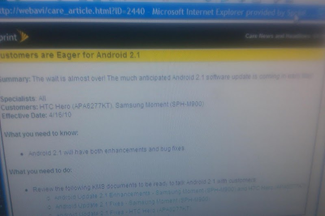 An internal Sprint memo has surfaced showing a new early May release date for both HTC Hero and Samsung Moment Android phones, jonathan76888 on AndroidForums found out. 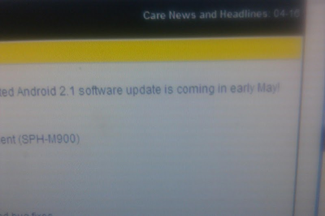 The memo looks quite legitimate and this time actually lists 2.1 as the update target, compared to the one from 3 weeks ago that referenced a "maintenance release" and promised an April 9th date (followed by rumors of April 16th, all false). 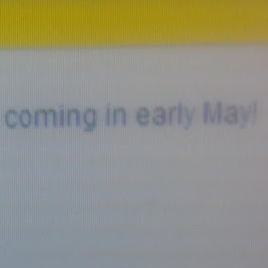 The wait is almost over, guys. In the meantime, I have flashed my Hero with the 2.1 firmware leaked recently and have a very detailed post with all new features and a ton of screenshots coming up in the pipeline.